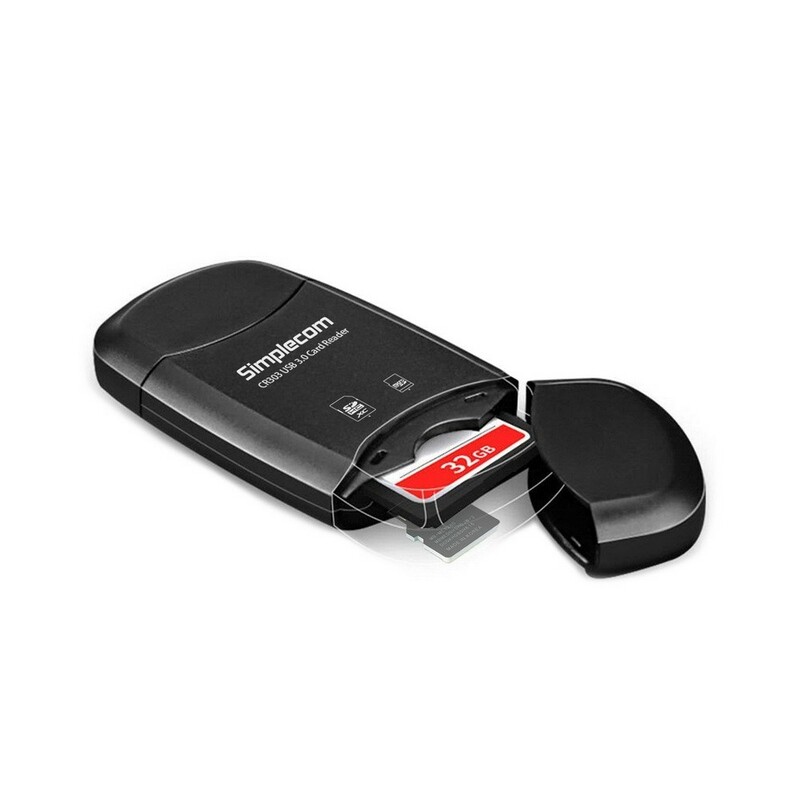 CR303 USB3.0 2-Slot Card Reader offers a compact solution to access and protect the most popular memory cards, including SD, SDHC, SDXC, and Micro SD/SDHC/SDXC. 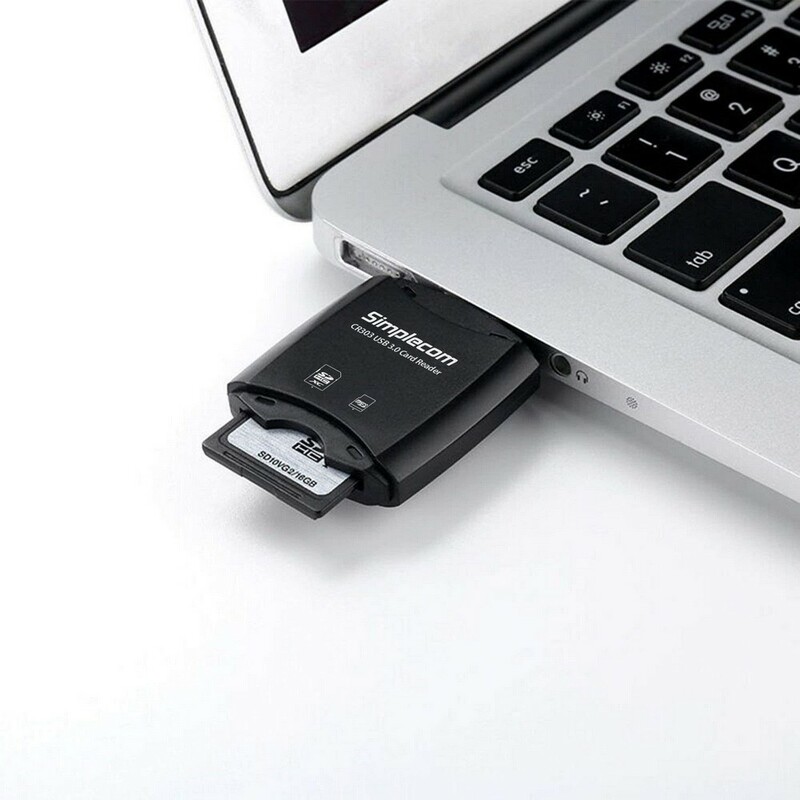 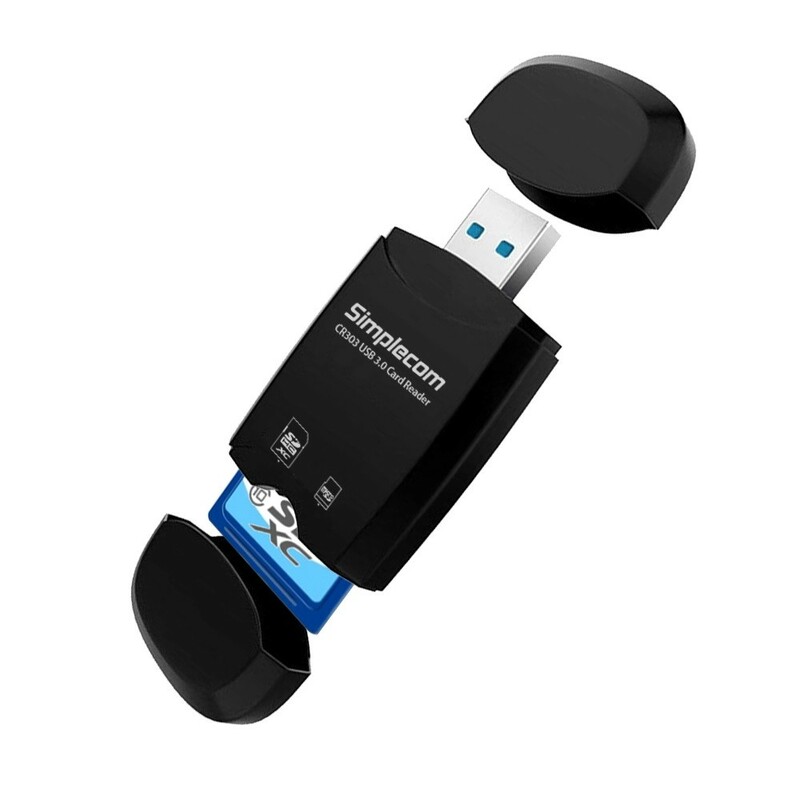 Easily transfer files from your memory cards to your computer at USB3.0 speed up to 5Gbps. 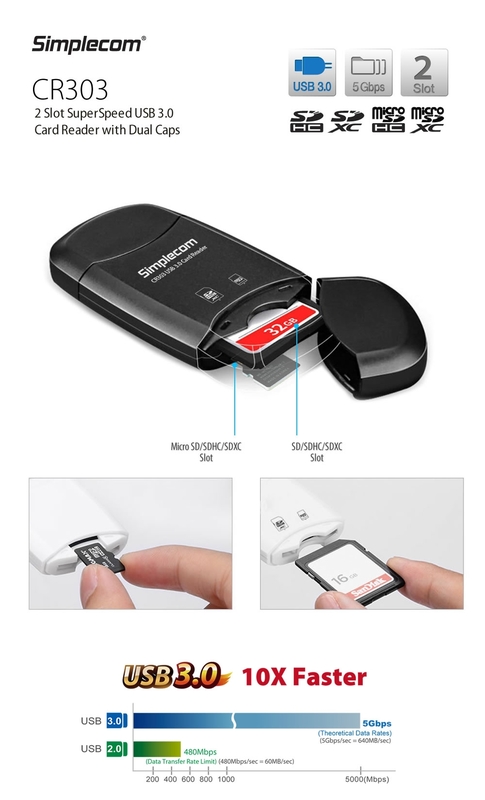 Also, CR303 with dual caps design, you can use it as an enclosure to protect your memory cards, and use it as a virtual USB pen drive with memory card inserted. 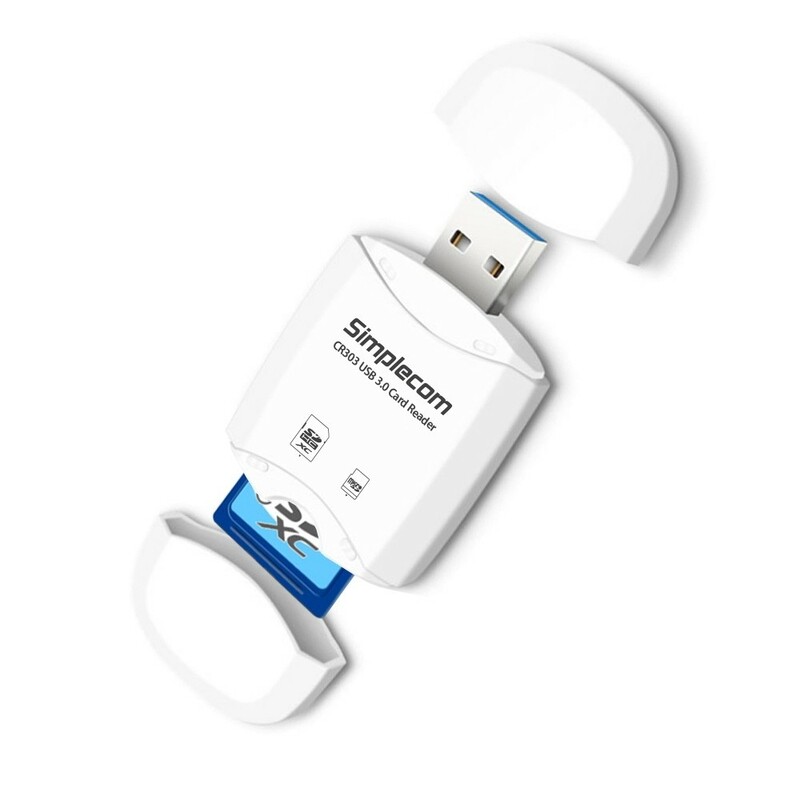 Capable of being plugged directly into the USB port on any desktop or notebook computer. 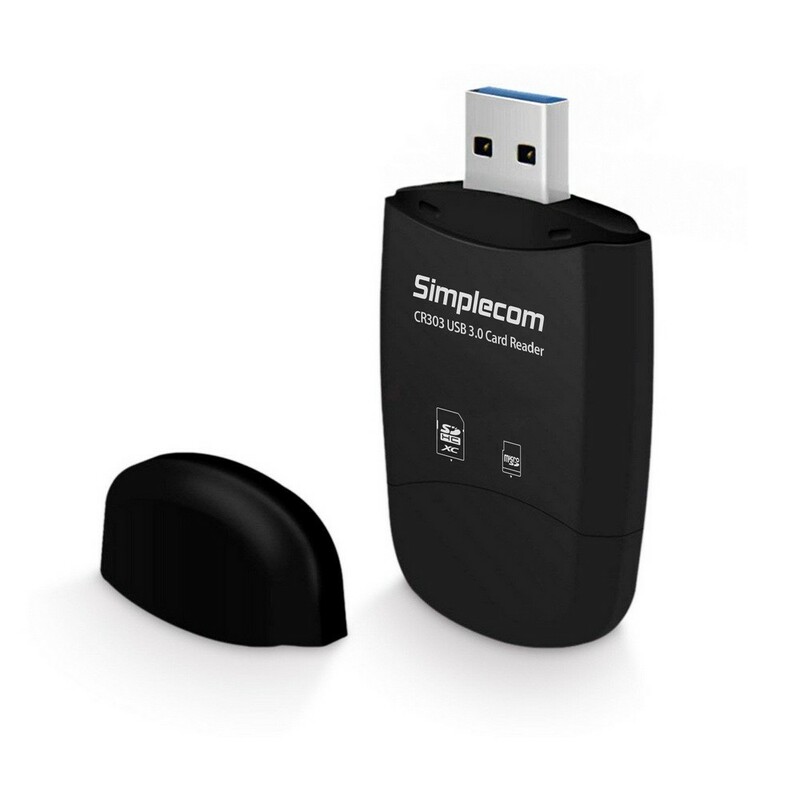 The driverless plug & play makes for easy installation and no driver software is needed.